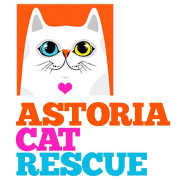 Astoria Cat Rescue is a non-profit 501(c)(3) organization. Please join our "Kitty Crew" to help support the 100+ homeless cats we rescue and feed every day in Astoria and Long Island City (LIC) in Queens, New York! Volunteer, foster, adopt, or donate! Would you recommend ASTORIA CAT RESCUE INC?